We are pleased to announce to you that there has been a new alliance formed that will give more assistance to the human collective as you continue on in your journey. You are aware that the beings from the Sirius Star System are of service. That is their goal. They are service-oriented. Nothing brings them more joy than to be of service, and they have reached out to several representatives from the Andromedan Star System to create an alliance between the two. That alliance has one objective and one objective alone, and that objective is to seek out new ways to further the evolution of consciousness on planet Earth. Now, as many of you know, there is much being done already, and there are councils, collectives, and federations set up to form similar alliances. 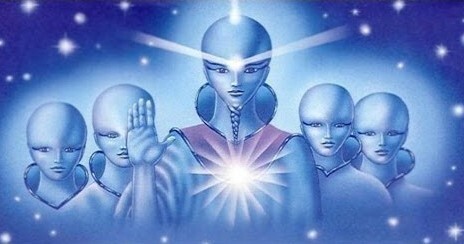 This alliance in particular is significant because the beings from Sirius, who are fifth dimensional, and the beings from the Andromedan Star System, who are also fifth dimensional, have never aligned before. There is a knowing in the galaxy that as Earth goes, so goes the galaxy. 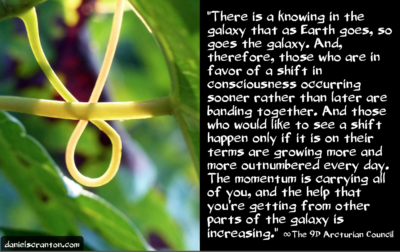 And, therefore, those who are in favor of a shift in consciousness occurring sooner rather than later are banding together. And those who would like to see a shift happen only if it is on their terms are growing more and more outnumbered every day. The momentum is carrying all of you, and the help that you’re getting from other parts of the galaxy is increasing. Some of you will meet members of this new alliance while you are asleep. Some of you will astrally project yourselves to meetings with the representatives of this alliance, but all of you will benefit whether you are receiving direct communication or not. 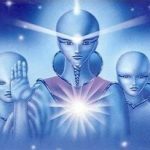 We have observed these Andromedans and these Sirians, and we can say that their coming together will have a synergistic effect, and the impact will be felt, one way or another, by all of you.